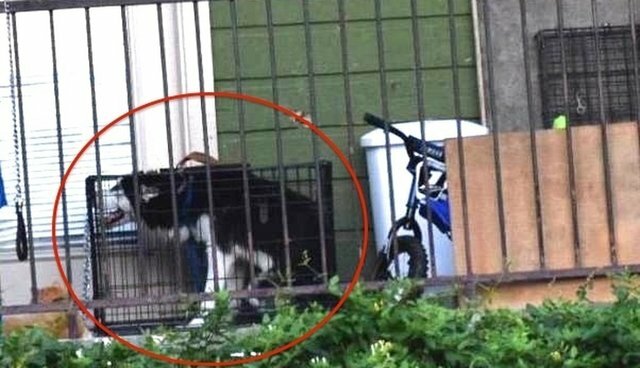 When Cassandra Clark first saw a husky hanging out on a balcony near her house in Dallas, he at least had room to move around. "I've seen that husky on the deck a lot," Clark told The Dodo. "It started out in a normal large crate so I didn't think anything of it." Soon, though, things started to change. Clark saw the dog outside again, this time with a metal muzzle around his mouth. 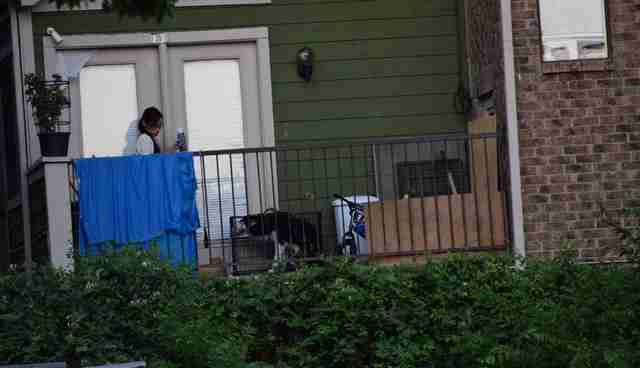 A little while later, she saw him left on the porch in 100-degree heat, with no water in sight. 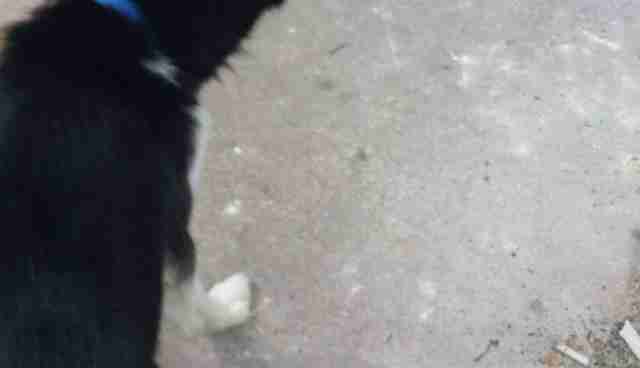 Finally, the husky was confined to a cage much too small for him, hunched over, left on the balcony all alone. "I was walking my puppies and I heard crying and wailing," Clark said. "I thought, 'Oh god. He's there in that crate!' It was 104 degrees on Monday." Clark decided she couldn't just leave the dog out there alone without trying to help him, so she called animal services to see if they could help. They told Clark that they might not be able to respond for a full 24 hours - and she was afraid the poor dog might not last that long. Clark took to Facebook and made a post about the dog and his plight. Before long, much to her amazement, she had gotten quite the reaction. "I had immediate response, a ton of shares, and so many people willing to go rescue. It was amazing," Clark said. 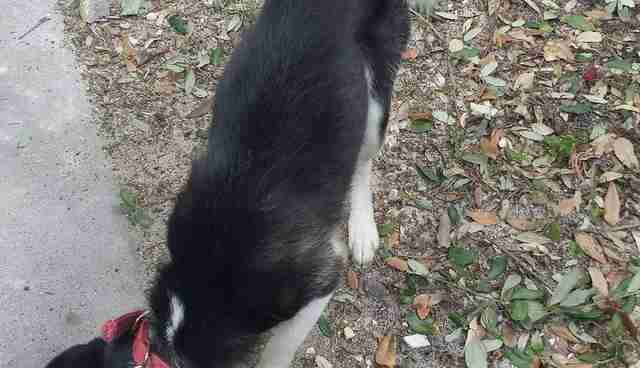 Clark's post has been shared almost 1,000 times, but the best part of all was that it led to the husky finally being rescued. 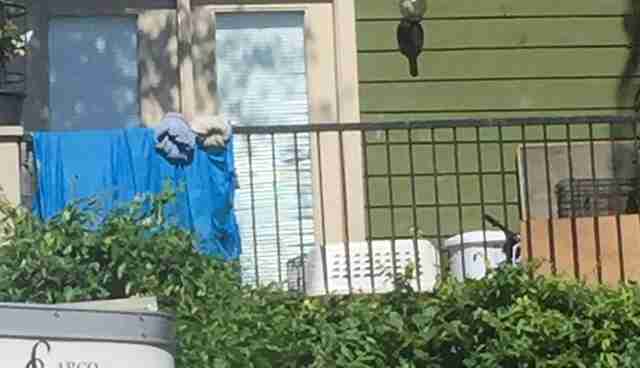 Dallas Animal Services arrived at the home, and found something no one expected - 12 other animals living in the house, also in need of rescue. "I was so shocked and disgusted when the dispatch said there were 13 animals, and the huskies are so malnourished and low in weight," Clark said. 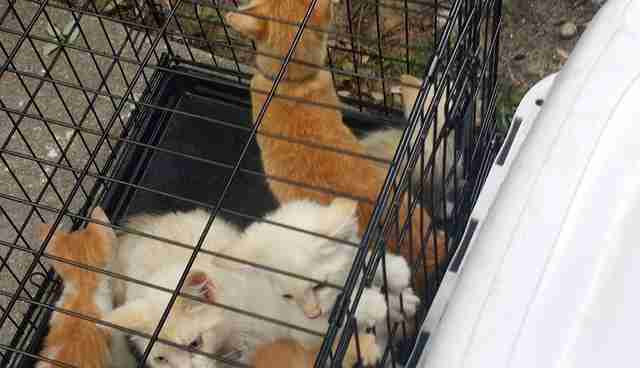 Among the 13 animals was another husky and several kittens. If Clark hadn't followed her instincts and acted, 13 animals would still be waiting for someone to help them. Her story is yet another reminder that when used right, social media can save lives. If you see an animal left out in the heat, you should contact your local animals services so they can help.